Located between the north of Klong Muang and Ao Nang, Tubkaak Beach or Tup Kaek is the right destination for those who would like to get away from the noisy crowd thanks to its perfect tranquility. Adventurers can follow the trails through a Kao Hang Nak rainforest which belongs to Mu Koh Phi Phi National Park. One of them will lead you to the Dragon Crest Mountain Viewpoint offering a panoramic view over the wonderful Krabi Province. As a long sandy beach, Tubkaak has a handful of luxury resorts that is an ideal option for relaxing and recharging yourself. Also, there are some romantic spots for having a candlelit dinner and taste the alluring Thai dishes. Sanom Beach is a secluded beach that has a nice touch the old-fashioned island style. You will be amazed by the richness, and healthiness of the house-reef as well as the diversity of fishes which you can spot on. Otherwise, this private destination welcomes special guests with soft white sand and crystal clear water to create its relaxing vibe, so don’t forget to bring a good book along! There are local bars and restaurants in this area for you to sit down, enjoy local seafood and sip a cool drink and admire the nature with beautiful music. It takes you only 10 minutes to walk from the beach to the shopping street because Koh Lipe is such a small island. 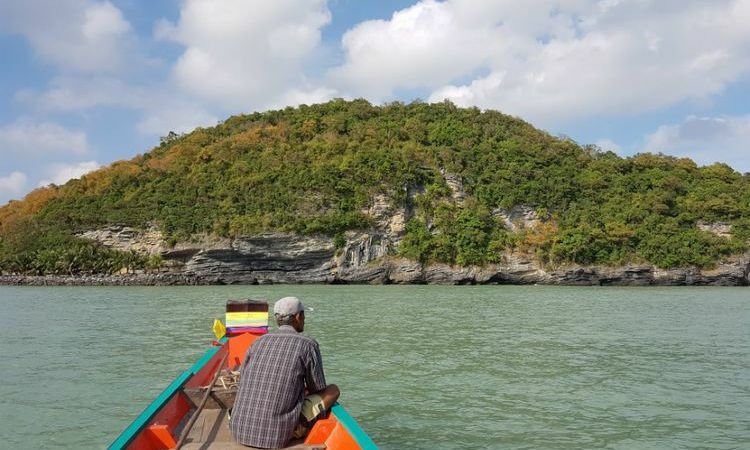 While you are here, don’t miss the opportunity to take an island-hopping tour by boat to explore magnificent rock formations and native wildlife. Also, aquatic activities like snorkeling and diving is a must as it features 25 percent of the tropical fish species on the planet. Although Koh Kood is one of the biggest islands in Thailand, the Eastern Seaboard-nearby island is still barely developed. Undoubtedly, it is home to the gorgeous hidden beaches with sparkling white sand. Kluai Beach appears as a stunningly small place that is decorated with seaweed and a fresh air of privacy. Likewise, you will have a once-in-a-lifetime chance to admire a romantic atmosphere created by its rewarding sunrise on the beach. There is a hidden gem in the jungle called Klong Chao Waterfall which cascades throughout the year and provides you an idyllic swimming spot in the complete privacy. Apart from that name, it is also known as Nam Tok Khlong Chao since His Majesty King Rama VI paid it a visit in 1911. What a pity if you do not spend time on watching the marine life, especially a lot of reefs which are not touched by mass tourism yet. So adventurers and scuba divers will enjoy these exhilarating experiences with the water temperature remains at 30 degrees Celsius all year round. Don’t worry in case you do not know how to snorkel or dive since a dive school providing you with lessons, and free test dives in the swimming pool. In spite of being located in the north-west of the infamous Koh Phangan, Thong Nai Pan Yai and Thong Nai Pan Noi are beautifully secluded twins that make Thong Nai Pan become a legendary destination for those who like to have unforgettable experiences. Huge granite borders, hidden spectacular waterfalls, towering palm trees, crystal clear water, and untouched beaches are everything for a heaven on earth. Aside from taking a walk around to enjoy the beauty of the scenery, you should your time to commune with nature by reaching the splendid Wang Thong Waterfall and Than Prawes Waterfall in the jungle to take up extreme sports like doing the climb. To enjoy the local lifestyle, don’t miss Thong Sala night market where you can try mouthwatering Thai cuisine, particularly seafood. To make your journey more interesting, go to a Thai cooking class even if you stay there only 2 days. Imagine you will prepare ingredients in an open kitchen built in a picturesque corner by a lake. With the length of 10 kilometers, the private Golden Buddha Beach stretches from the south-west Koh Phra to Golden Buddha Beach Resort that is closely located in the center of the west coast and ends at Hornbill Hill. Not only facing the blue Andaman Seam, the beach itself is lined with tropical flowers and trees in order to endow you with exceptional vitality. What will you do if you are not interested in soaking up the sun? Well, there are so many recreational activities for you to participate in. 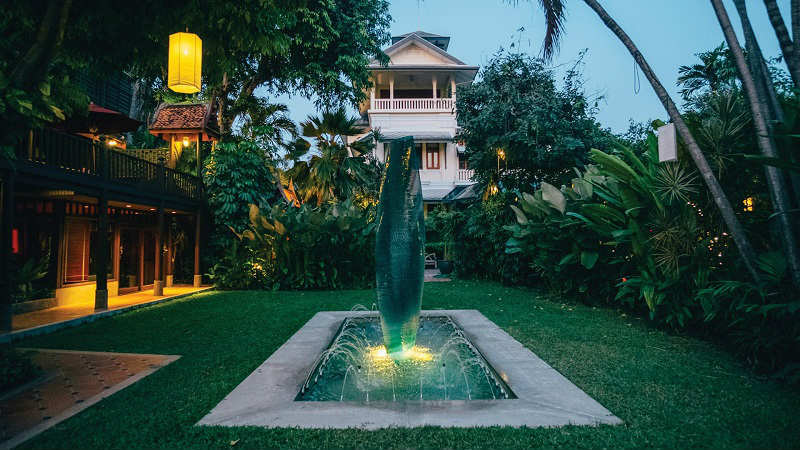 Indulging in luxury spa treatments, learning about the local culture, observing special animals, such as pangolin, leopard cats, or flying fox, and plants through Koh Phra Thong trekking, or kayaking. Tailor-made scuba diving and snorkeling are available. The world top dive site - Richelieu Rock will satisfy even the most discerning divers. Located on one of the country’s best-kept islands secrets - Koh Lao Liang, Lao Liang Nong, or ‘Little Brother’ faces east with pristine tropical water and white sand offering sunrise views to Koh Sukorn. You will be amazed by the clear water which blends into azure and emerald blue once you reach the hard coral. 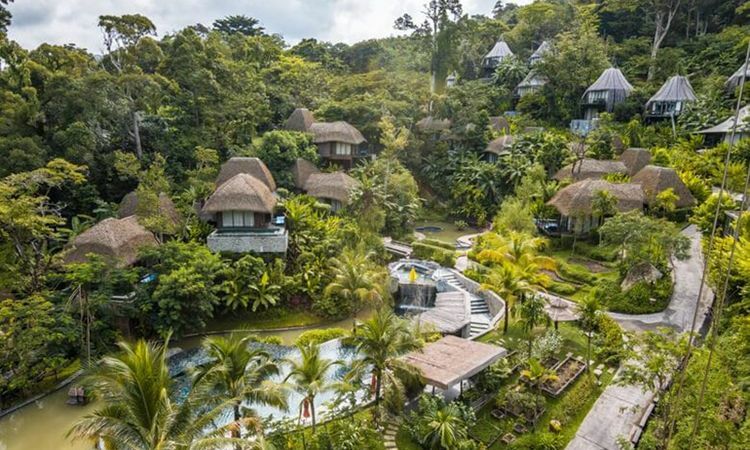 Hence, this place is perfect for a unique and back-to-nature eco-getaway giving you a wonderful holiday on an untouched beach. 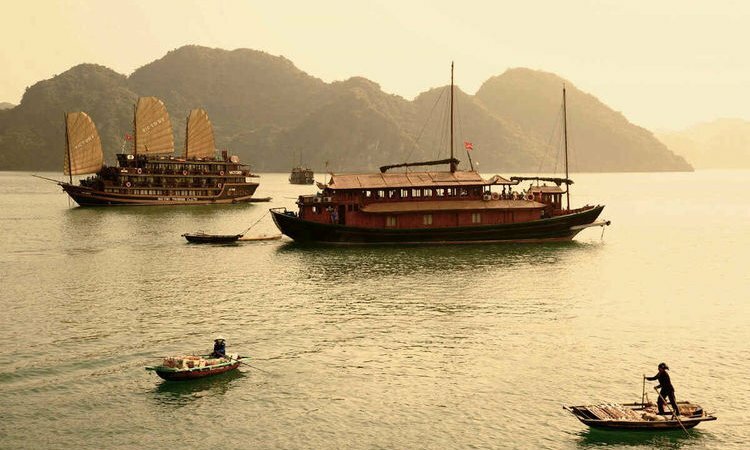 Those who want to embark on exciting adventures, you will love vertical limestone cliffs tower that resembles Railay and Koh Phi Phi peninsula, so rock climbers at all levels can enjoy its scenic climbing. It would be such a big loss if you miss Mu Ko Phetra National Park to keep in touch with the beautiful wildlife in Thailand. 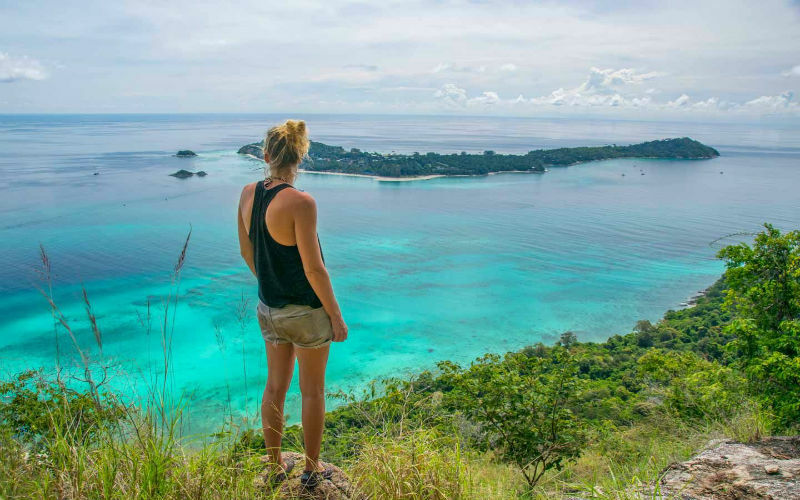 This park has a very long coastline stretching from Satun to Trang province including some off-shore islands - Koh Perama, Koh Lao Liang, Koh Bu Loan, Koh Li Di, Koh La Lo Ban Te, Koh Khao Yai, and Koh Phetra. With over 490 square kilometers, this tiny world is full of mountains, forests, colorful corals, and wildlife. You might be surprised if you know that Koh Adang is the next-door neighbor of the well-known Koh Lipe. As a part of Tarutao National Marine Park, Koh Adang is carefully protected by the government. That is why this spot seems to be nearly untouched which is ideal for a nice day trip to escape the crowds. This beautiful pristine area is perfect for you to catch a magnificent sunset or excitingly watch the sea turtles lay their eggs. Thanks to its vastness, hiking comes highly recommended, but don’t forget to apply your sunblock cream! In the mainland jungle, there is a flawless viewpoint offering breathtaking scenes of the Adang Archipelago group of islands. Otherwise, you will find snorkeling in Thailand to rival the experience in the Maldives due to a great diversity of tropical species. Trust me! Snorkeling with Nemo will be one of the most memorable moments in your life. 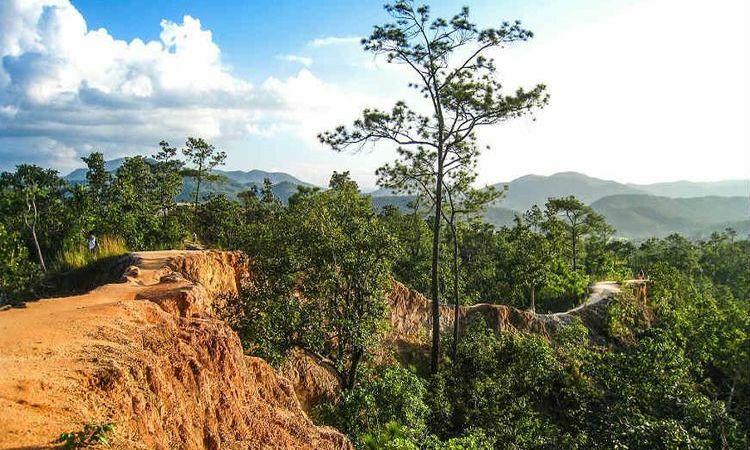 Famous for the densely located forest as well as long white sandy beaches, Koh Phayam has been considered as Koh Samui but 3 decades ago without cars and ATM. Ao Yai - the best beach and home to a peaceful environment are what you should not skip in case you are looking for a place to stay away from your busy life. Not only providing visitors with stunning sunsets, surfing is a fantastic way to enjoy the atmosphere. Travel to Koh Phayam between November and March, you might be lucky to watch the migration of birds. Meanwhile, do not forget to visit Wat Ko Phayam - the one and only temple on this island. There is a very big gold-painted Buddha statue sitting on the top of the hill surrounded by blossoming trees. Other statues, Kuan Yin- goddess of mercury and four guards are placed below. What a memorable place for meditation with sun rays and sea splashes. Koh Kradan Beach is one of the most isolated gorgeous site in this tropical country which is close to the Trang mainland, Koh Libong, and Ko Muk. There is no police station, no medical facilities, no road, and no ATM for you, so the beach is an interesting option for your day trip. You had better carefully check the weather before going as this place is closed during the monsoon season. The beach itself is more or less 2 kilometers that are populated with coconut palms and smooth white sand. The 50-meter offshore coral reef and eye-catching limestone formations bring you a relaxing atmosphere or fascinating materials for fancy photos. The majority of Koh Kradan is under the jurisdiction of the Hat Chao Mai National Park - a park of marine life that covers 2 districts of Sikao and Kantang. Bamboo Island - a part of Phi Phi Island group is surprisingly peaceful in comparison with its sister. You will be in the complete adoration of this area thanks to the washed corals, snack bar, and the fact that it only takes you thirty minutes to walk around. There is no hotel or resort here, so the hidden beach is suitable for taking a quick day trip. Be aware that it has no rocky cliffs but a flat island with white sand and lush vegetation. Bamboo Island Beach provides you with good snorkeling thanks to a wide range of fishes and invertebrate species Thailand has always come with special charms that no place in this world could bring you. 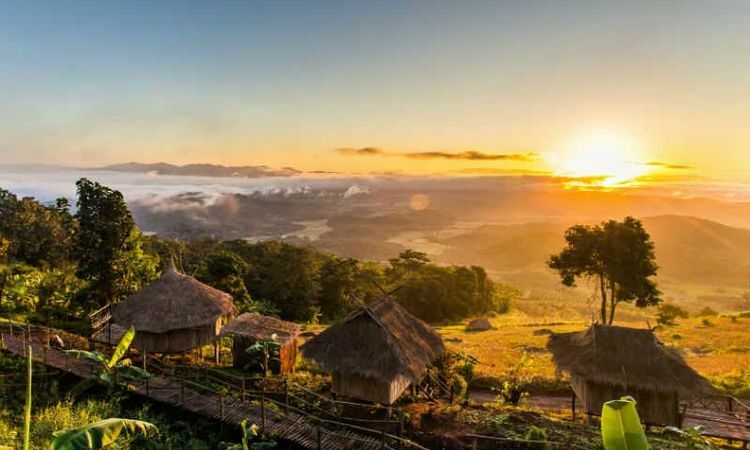 If you want to explore and enjoy these Thai hidden gems, book a tour here.